We have entered the month of November, and it’s time to reveal the winner of our October Challenge! We are so glad to see your wonderful Summer Memories projects, thank you for showing us! Congratulations Cathrine, you will given the opportunity to pick your favorite Pion Design collection. We wish you all a fine day, and don’t forget to keep your eyes open for the upcoming November Challenge! Catherine…congrats! This card is just so very beautiful! The colors are so soft and the way you gently distressed it is beyond all I have seen. This card is just perfection!! 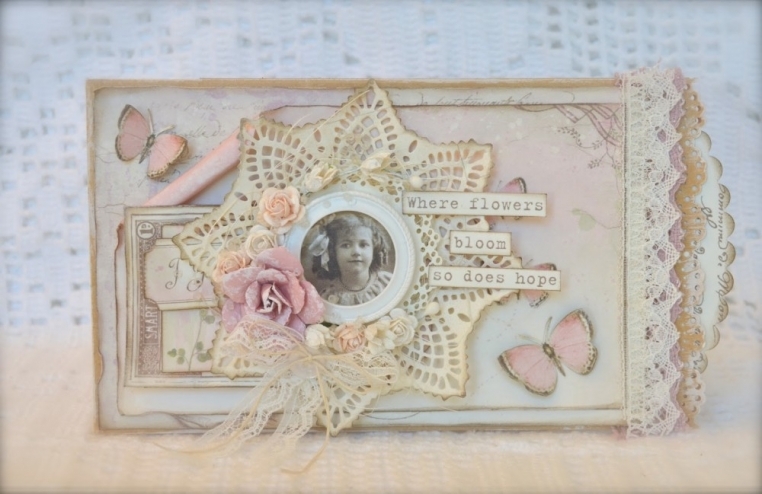 Congratulations on winning gorgeous Pion papers! Your card is beautiful and deserving. Enjoy!